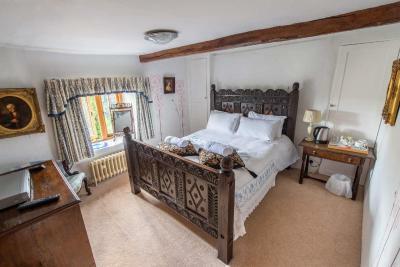 Lock in a great price for Meadow Cottage Guest House - rated 8.8 by recent guests. Bed was comfy just a beautiful place to stay and easy for the airport. Meadow Cottage is a beautiful property in a lovely setting. We thoroughly enjoyed our stay there. 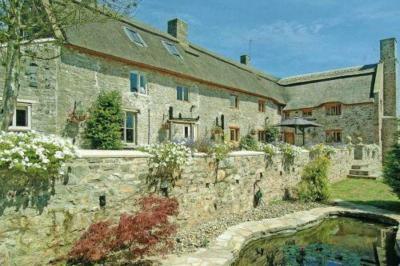 4 minutes to Bristol Airport Silver Parking. 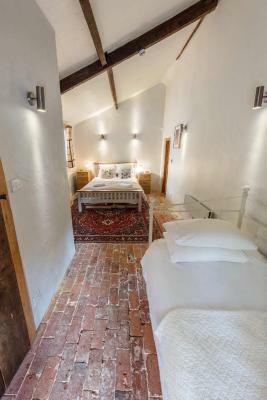 Beautiful surrounds, restored farmhouse, quiet and tranquil. Helpful and informative manager. Thoroughly enjoyed our stay in this beautiful house. 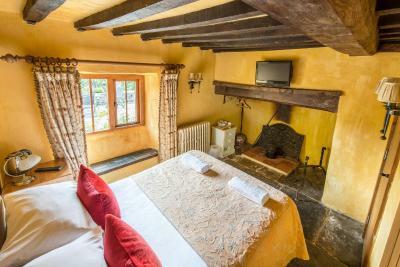 The staff were incredibly charming and friendly, our room was lovely and breakfast was great. Very pretty and tranquil location with lovely outdoor area whilst still being close to the airport. Look forward to coming back! 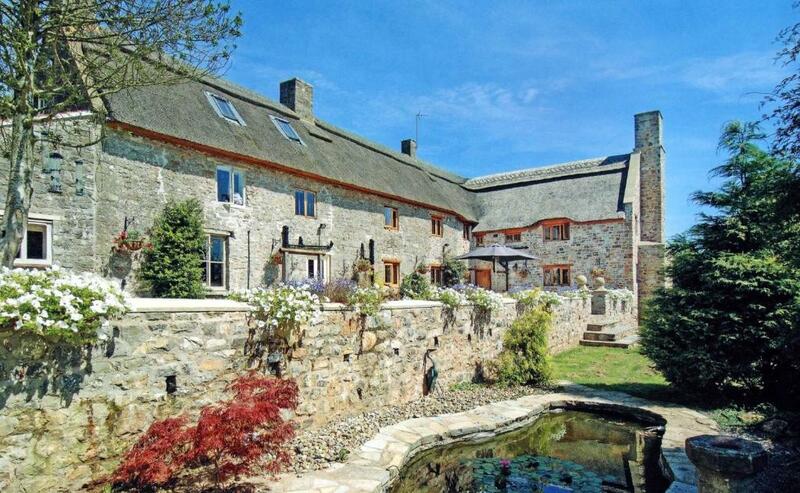 Meadow Cottage was amazing. The building is so beautiful and the location is so quiet and tranquil. I could not believe we were a stone's through from the airport but could not hear a sound. The room was so nice and comfortable. For a 300 year old building you could not ask for more. The breakfast was just how we liked it. You really felt at home there having access to the kitchen. The manager was so friendly and helpful. Really lovely lady. I will defiantly be making an excuse to go again. 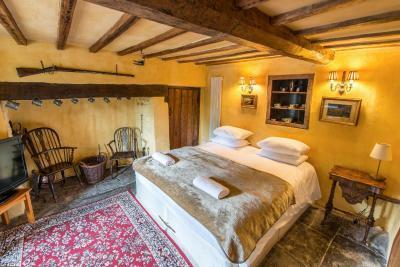 The B&B is a gorgeous old building with loads of character, set in some lovely gardens. Our kids enjoyed playing in the garden in the morning before we started our long journey home. We were late arriving so they sent us self check in details which were really handy. 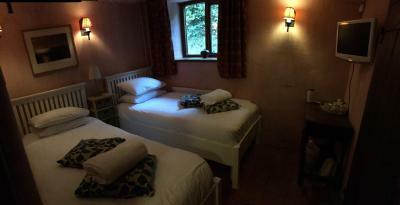 The rooms were lovely and the duvets were really comfy. 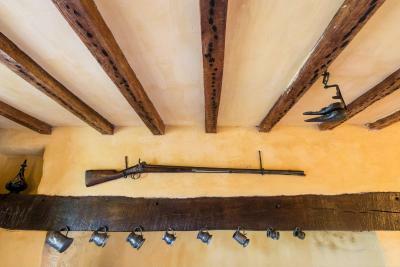 Set in a peaceful location, only minutes from Bristol International Airport, this 17th-century farmhouse has beautiful period features, beamed ceilings, and long-stay parking. 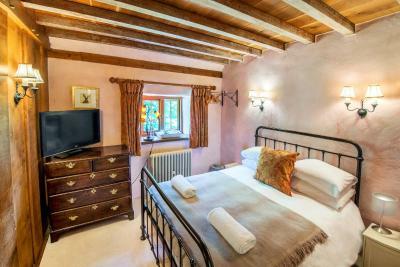 Guests are offered free parking for the first night's stay and a surcharge will apply thereafter. 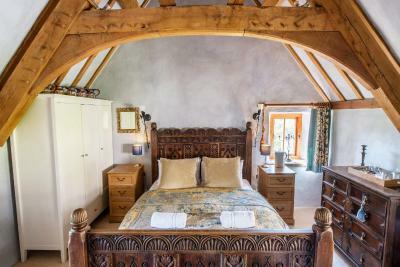 The luxurious rooms at Meadow Cottage feature idyllic countryside views and flat-screen TVs. 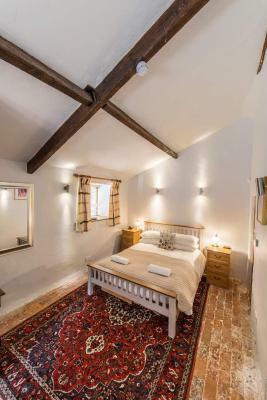 High-quality Egyptian cotton bed linen, fluffy towels, and tea/coffee making facilities are also featured in each room. A buffet breakfast is available daily. 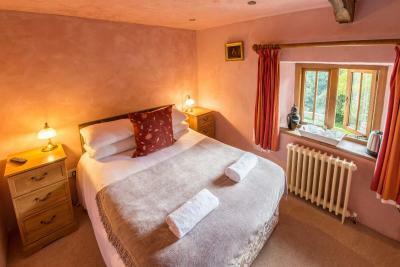 The Meadow Cottage Guest House is set in an acre of beautiful south-facing gardens and despite being just 1.5 miles south of the airport, it is completely free of airport or road noise. 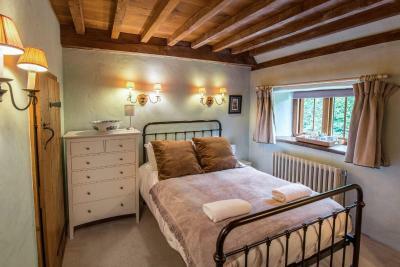 Meadow Cottage Guest House has been welcoming Booking.com guests since 4 Aug 2009. 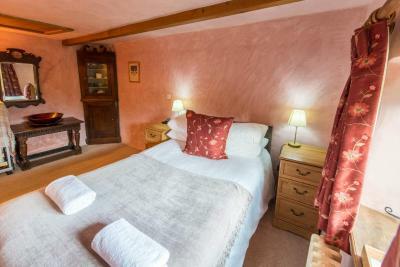 When would you like to stay at Meadow Cottage Guest House? 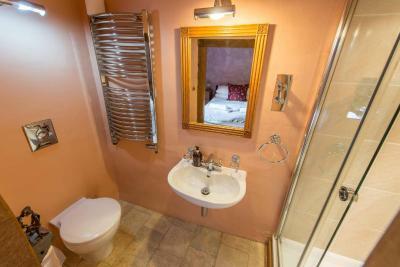 A private bathroom, flat-screen TV and tea/coffee making facilities are featured in this room. One of the standard doubles can accommodate an extra bed. 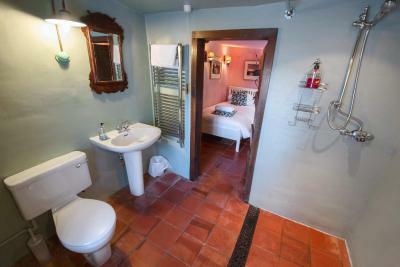 This room features an en suite with a free-standing bath, a TV, tea/coffee-making facilities and a view of the garden. 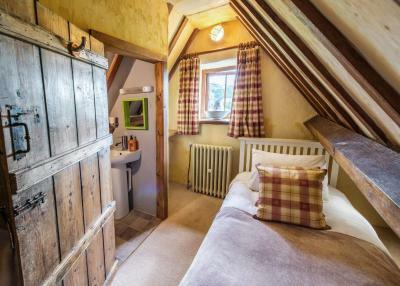 With a view and an en suite bathroom, this room includes a flat-screen TV, a kettle and free toiletries. 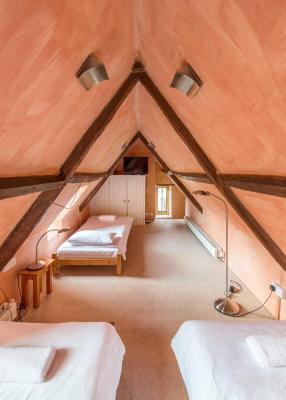 This room features high ceilings, a flat-screen TV and a 6-foot double bed. 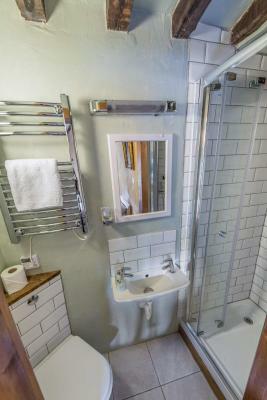 This room boasts tea and coffee making facilities, a TV and en suite shower room with free toiletries. Breakfast is self service at any time. 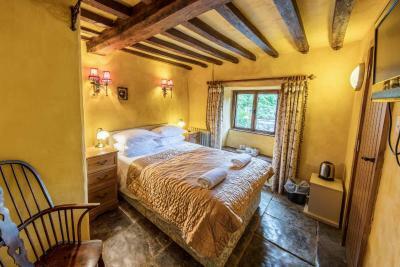 This double room features a flat-screen TV, electric kettle and patio. 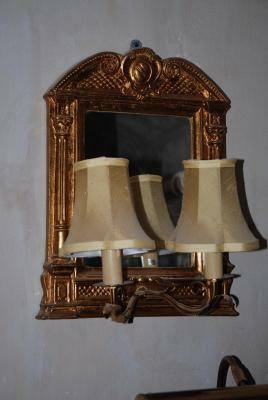 House rules Meadow Cottage Guest House takes special requests - add in the next step! 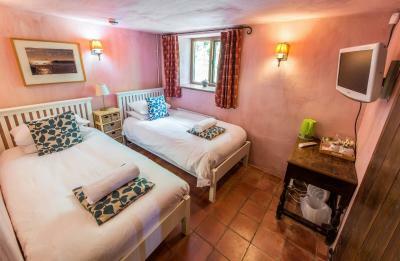 Meadow Cottage Guest House accepts these cards and reserves the right to temporarily hold an amount prior to arrival. When booking, guests must give an expected check-in time. Arrivals after 20:00 by arrangement only and the hotel reserves the right to refuse entry to guests arriving late without prior agreement. Pets are allowed on request, subject to availability. Pets are not allowed in every room type. You can use the Special Requests box when booking, or contact the property directly using the contact details provided in your confirmation. 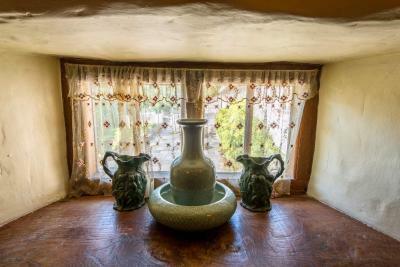 Please inform Meadow Cottage Guest House in advance of your expected arrival time. You can use the Special Requests box when booking, or contact the property directly with the contact details provided in your confirmation. Parking is a bit tight for large vehicles. The accommodation is beautiful. Lovely greeting. Really nice staff. Would return and highly recommend. Although the breakfast choices were good they’d run out of milk and there was no-one available to replace it until we’d finished breakfast. It would have been good to have some instructions as to how to get hold of someone. The room was a little draughty due to the very old window frame but actually the room warmed up fairly quickly when we turned the radiator up - not sure what it would be like in the depths of winter though. The bathroom was a bit uncomfortable - a shower into a free-standing tub, and the water didn't get very hot. The TV was limited (small, and only terrestrial channels). The wifi was slightly slow - not good for video calls but fine for browsing. The breakfast was make-your-own continental and somewhat limited but had a nice selection of bread and lots of different cereals. These are all only small issues though and didn't detract from our enjoyment of our stay. It's a beautiful old building and a lovely location overlooking a valley. 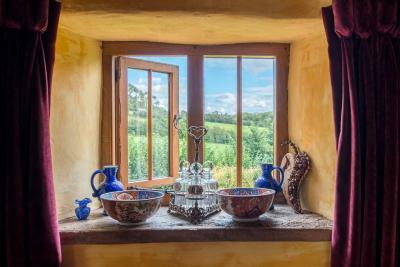 I imagine in nice weather it would be beautiful to sit out on the patio and admire the view. There's a nice gastropub not far away (easy walking distance). 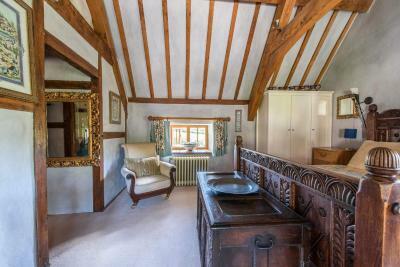 The uneven stone floors, low ceilings and wonky beams added great charm. The bed was very comfortable. Huge choice of breakfast. Lovely terraces.